In 1975 Sir Pizza first opened its doors. Keeping with the tradition of a family owned business, we opened our Franklin Park location in 2006. We use original recipes and continue to have only the freshest ingredients. 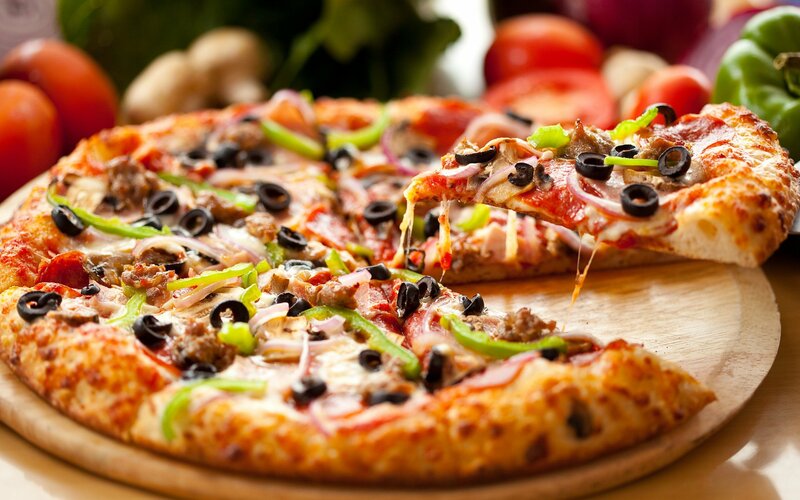 Our menu includes our delicious pizzas, calzones, salads, hoagies and sandwiches. We pride ourselves on prompt and friendly service and quality food at fair prices. Dine in a family friendly atmosphere or call for “carry out” service. We promise you won't be disappointed. At Sir Pizza, one of our most important and unique ingredients is our cheese. We use only smoked provolone for a richer taste and creamier consistency not found in mozzarella alone. Our best kept secret though the years is our dough which is made fresh daily. Our toppings are diced and evenly spread over our entire pie. We have something for everyone in our Sir Pizza style. You will love them! Easier to eat and easier to share...if you choose. Our most popular pizza, our royal feast is a special blend of our finest ingredients pepperoni, sausage, mushroom, onion and green and red peppers. Our online ordering will be added shortly.